Many blessings to those of you who will receive their sacraments tonight. How do Catholics celebrate Easter? Do you have lots of questions about how Catholics Celebrate Easter? Did you know this is the most significant celebration in the Catholic Church? Read more at the link about celebrating the Easter season, which is from Easter Sunday up until Pentecost, as part of the Catholic faith. 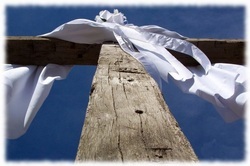 Learn more about Easter and enjoy this beautiful Easter Meditation. In John 20:13 the story begins as Mary goes to the tomb to visit the body of her dear friend Jesus, but when she arrived at the tomb he wasn't there. Read more in this article by Donna Kendall of the Catholic Examiner.